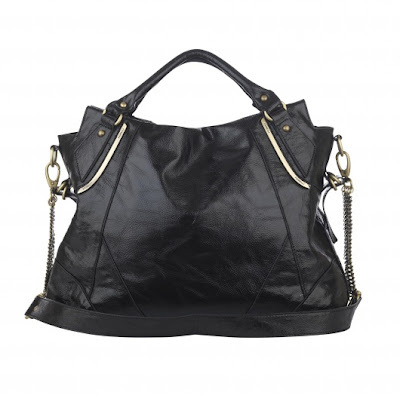 You can get it from the Fiorelli site here, but it's out of stoke atm :S shame. I wouldn complain about anthing if I had that on my arm either. My heart stopped when i read it's out of stock but duh duh duuuuuuuuuuh ebay to the rescue. That is a lovely bag. Can an A4 file fit in there? i have a question im going to start wearing hijab and i was wondering how can i change up my look sometimes i kinda want to feel like how i feel when i get a new haircut? love your blog by the way! cosmic cook: yep, in fact it even had a tag specifically stating so.. I feel sorry for your husbands. "Indonsian prince": Actually it's 70GBP which is technically more than 70 euros but anyway, women don't need men to buy them stuff, we can work for ourselves. sister, i wasnt saying you aren't capable of buying your own stuff. but you can get 4 black plastic bags and have the same thing for free. maybe do a little decoration on the outside so it doesnt look like a plastic bag. also, plastic doesnt decompose for 50,000 years. if that's not value, i dont know what is.